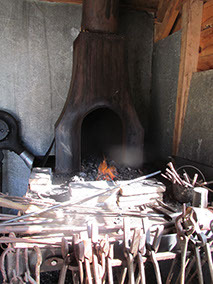 The Tyrone Mills Blacksmith shop was designed and built by the mills owner, Robert Shafer. 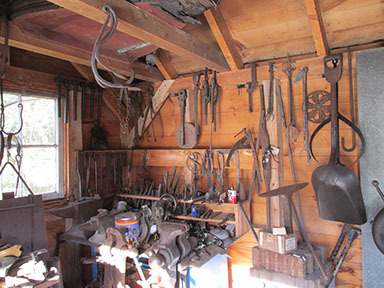 This reproduction blacksmith shop was built to reflect the late 1800's when the mill was in full operation. Although its small, it contains all the tools that would have been used to make and repair most items used in the early farming community surrounding the mill. 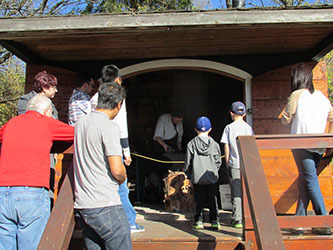 The blacksmith shop is open most weekends and holidays and some week days during the Tyrone Mills operating hours. 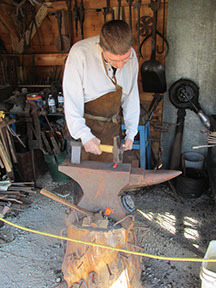 If you are coming out to see the blacksmith, its best to call the blacksmith directly at: 289-314-0820. Keep updated with latest news, events and programs at Tyrone Mills. Just fill in your name and email address below. We will not share your information with any third parties. ©Copyright 2016 Tyrone Mills Limited and Robert Shafer. All Rights Reserved.